Safety is the first priority on the job site, no matter where that job site is, but the next priority is (or at least should be) staying comfortable. With the help of these Timberland PRO Men's TB0A1I4H 214 Helix EH HD 6-Inch Waterproof Composite Toe Boots, you can ... (see full details) (see specifications) #TB0A1I4H214. Safety is the first priority on the job site, no matter where that job site is, but the next priority is (or at least should be) staying comfortable. With the help of these Timberland PRO Men's TB0A1I4H 214 Helix EH HD 6-Inch Waterproof Composite Toe Boots, you can keep yourself and your feet protected while keeping your feet comfortable and looking good at the same time. Safety is the priority on the job site, and this Timberland PRO footwear provides. This pair comes equipped with composite safety toe caps that are lightweight and non-metallic, allowing you to pass through metal detectors with ease, while still providing you the most protection that you can find. This toe cap meets both I/75 and C/75 standards and ASTM F2412-11 and F2413-11 safety standards, so these composite safety toe boots will stand up to almost everything that the job site, and life in general, throws at them. That includes electrical hazards, too, since this men's work footwear is also EH rated for protection around some open circuits. Made with premium waterproof leather uppers, these durable Timberland PRO men's boots will help prevent your feet from getting wet, whether you work in the Pacific Northwest or any other rainy environment. These durable uppers do this because they've been specially treated to give it waterproof properties, causing liquids to bead up and roll right off the surface. This means that you won’t have to worry about your feet becoming a marshy swamp land. These leather uppers also make the Helix HS boots look ruggedly professional while at the same time giving you the protection you need to do your job properly and well. The manufacturers at Timberland also added waterproof, antimicrobial membranes that keep feet drier and deliver superior waterproof protection. This type of membrane also gives the wearer protection against blood borne pathogens, making the safety toe waterproof boots good for those in the law enforcement or the military field. Inside the Timberland PRO brown boots are fiberglass shanks, manufactured to give your feet the support they need to do whatever it is the job site requires of them. These combine with the anti-fatigue footbeds (that are specially designed for Timberland boots) give you and your feet both the support and the comfort that your feet need to be on them for hours upon end. But that’s not everything that the designers at Timberland have jammed into this men's footwear. These brown leather work boots come equipped with Timberland PRO rubber outsoles. What’s so special about the durable outsoles? They're not only slip-resistant but also heat- and oil-resistant on top of that. This means that on practically every surface, your feet will have the grip that you need to stay safe. 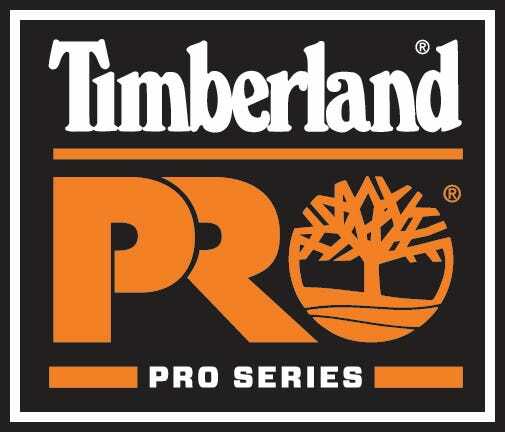 So if you’re looking for safety toe footwear that's comfortable, rugged, and gives your feet the maximum protection that work boots can give them, then look no further than the Timberland PRO Men's TB0A1I4H 214 Helix HD 6" Composite Toe Boots from Working Person's Store. These Timberlands are some of the coolest (and the safest) around, so you'll want to own them. Timberland PRO Boots: Men's TB0A1I4H 214 Helix HD Brown 6-Inch Composite Toe Boots is being added to your cart.